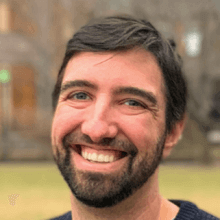 With over 15 years of experience developing enterprise-level Drupal websites, Kevin Basarab has been part of the Mediacurrent team for the past 7 years. In addition to his current role as VP of Delivery, Kevin specializes in defining and creating editorial workflows. Before Mediacurrent, Kevin started in the newspaper industry as an editor and transitioned into overseeing their web operations. Prior to his current role, Kevin held the titles of Senior Drupal Consultant, Lead Drupal Architect, and Director of Development at Mediacurrent. Kevin has completed many high profile projects within the media industry, developed expertise in helping publishers create better workflows, and has several Drupal core commits under his belt. Kevin has been active in community events including various DrupalCamps and Cons across the country. He's currently based in New York City after growing up in Jacksonville, FL. Outside of work, Kevin enjoys hiking, outdoor adventures, bowling, stage lighting design, and do-it-yourself projects around the house.